It is now quite certain that director Siva will team up with Thala Ajith to direct the star's next, tentatively titled as Thala 57, which is expected to go on floors in June. After directing Ajith in Veeram and Vedalam, this is the third straight collaboration of Siva with the star actor. Siva's first film with Ajith was 'Veeram' that released in January 2014. In that film the filmmaker gave a complete makeover for Ajith as a village man wearing a white shirt and veshti throughout the film. In a number of films preceding 'Veeram', Thala was sporting hi-fi urban costumes and coolers. In last year's blockbuster 'Vedalam' also Ajith was posing as a lower middle class taxi driver and a local don which was completely different from his previous films. 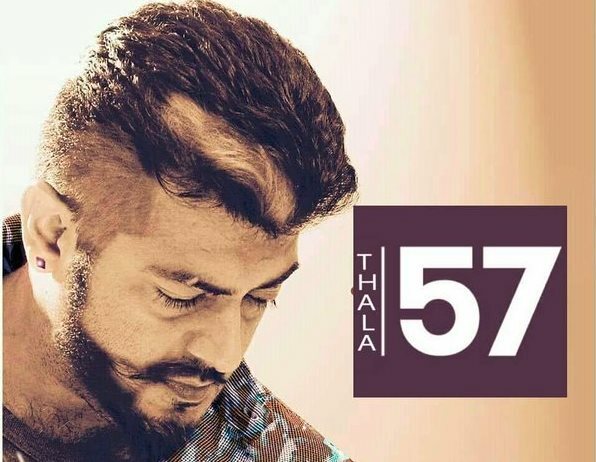 However in 'Thala 57' it will be Siva's turn to showcase Ajith's uber cool style in urbane outfits. As the story of the film reportedly takes place in foreign countries Thala Ajith is expected to roll back to his 'Billa 2', 'Arrambam' kind of looks in this film. For that, the Yennai Arindhaal actor may sport a younger and stylish look, according to reports. Also, Ajith was seen hitting the gym of late and we would like to believe that the actor is getting ready for his next flick, which may require him to look fit and young. 'Thala 57' will be produced by Sathya Jyothi Films and musical score is likely to be rendered by Anirudh Ravichander. The official announcement on the project, cast and crew is expected in the second week of April 2016.